Ah, the complex relationship between memes, viral content, and marketing. Not all memes go viral and not all viral posts are memetic, but both are in the toolbox of the savvy marketer. Viral content is straightforward – the posts, photos, or videos that travel quickly through many platforms racking up millions of shares, clicks, and likes = viral content. But where did the idea of a “meme” come from, and what’s the modern usage? Let’s break it down a little bit. Originally an anthropological term, “meme” was used to describe the spread and replication of ideas, information and behaviors among groups of people. A modern example would be the beloved recipe for apple pie that’s been passed down through generations of your family. The recipe is technically a meme because it maintains the same name and basic format but slowly morphs as each generation interacts with it. As the internet has provided us a new online place to share and spread ideas, the term “meme” was co-opted. 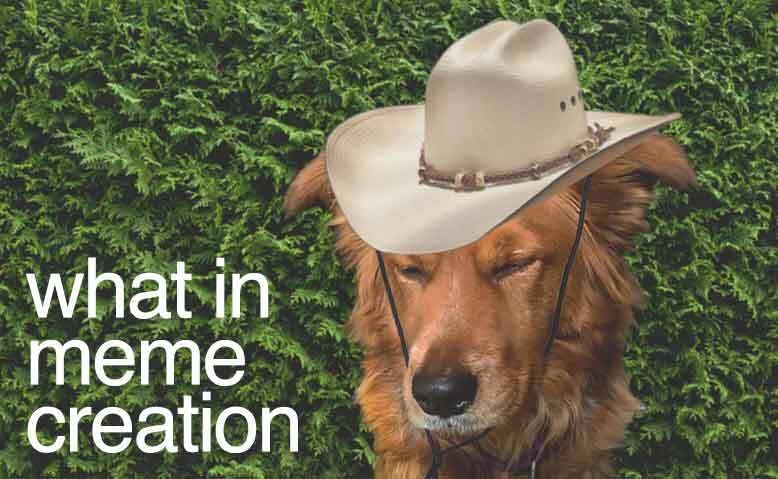 Today, for the most part, when we talk about a meme, we mean ‘internet meme’, which is any idea or content format that spreads rapidly online, with slight tweaks to fit each user’s communication goals. Just as great-grandma’s famous apple pie has been adapted over generations thanks to each baker who recreated it, memes work the same way. When something goes viral, on the other hand, it is one concrete post that receives a large number of shares, clicks and likes. It is shareable and sticky, but it is not recreated or changed as it moves through platforms. A meme is an idea that many distinct users recreate and morph. As they do this, they move the idea through the internet, rather than moving a specific post. Utilized in marketing strategies, memes can be powerful. 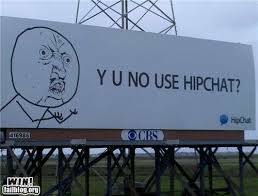 HipChat, a small startup in California, was able to boost searches for their brand and sales drastically when they incorporated an internet meme into their advertising. 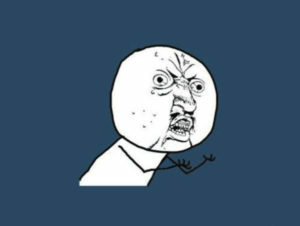 The team utilized a popular meme called Y U NO GUY from Reddit’s Rage Comics on a billboard and saw incredible feedback. The billboard was simple, bold – and brilliant. The billboard received surprising attention and quickly began popping up all over the internet, giving them a dramatic boost in internet traffic and in sales. Their use of the meme was savvy, strategic, and best of all, paid off handsomely. You likely remember the The Man Your Man Could Smell Like, Old Spice’s brilliant ad that went viral. This is the kind of response marketing agencies strive for; global virality. The goal is for as many people as possible to see and interact with it – and Old Spice was able to create something original and humorous enough that everyone was talking about it. So before you jump into it, keep these tips in mind about memes and how they function. Worried about jumping into the deep end of the internet meme pool solo? Consider Catchfire your viral meme steward and lifeguard – as passionate connoisseurs of memes and viral content, we’d never let you go astray.